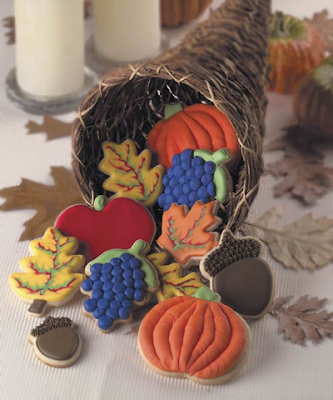 I can't decide which one of these two cornucopia cookie ideas I love the most. 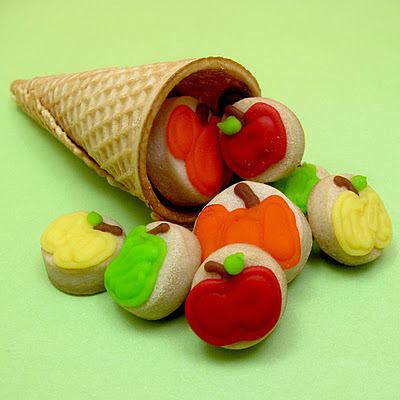 The cookie filled cornucopia that is overflowing with cookie replicas of a typical cornucopia harvest would be a fun centerpiece for your Thanksgiving serving table, but these cute miniature sugar cone cornucopias filled with tiny fruit shaped sugar cookies would be perfect for the kids table. You might actually have to go with both. Not a sugar cookie fan? You could always go with dried fruit and nut filled cornucopias. You can use candy in your sugar cone cornucopias too. 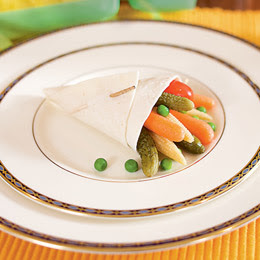 If you want a healthier version, why not try a relish cornucopia. 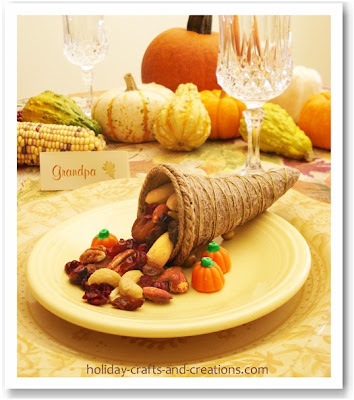 You can check out more edible cornucopia ideas like the bread cornucopia and sweet roll cornucopia HERE.